Discovery VR- Explore 360 content from Discovery channel shows, adventures, and explorations. Discovery is known for amazing digital content and is adding to this library of VR images. Nearpod- Nearpod has added VR components to their lessons. Teachers can now push out 360 virtual tours to students through the app. The app is free but individual lessons cost $ to download. NY Times VR- The NY Times wants to put you in the center of the story by providing news content through a VR lens. Cardio VR- Help the doctor fix broken bones, heart problems, and more using special x-rays and inside vision. This app is completely child friendly. Liftoff VR- Launch a rocket into space. You help control the launch and landing of the Falcon 9. InCell VR- An action game that takes place in a human cell. This app will give your students a life-size view of the parts of a cell. Aquarium VR- Visit sharks, dolphins, clown fish and more as you explore the underwater world. Gaze upon a creature and the app will give you information. Paris VR- Take a virtual trip to Paris and tour the city's most iconic locations. GE 360- Explore science and technology with GE. Learn how GE is developing and using the next generation of machines. Google Street View- Type a location, look at the street view, find the Google Cardboard symbol in the top right corner to use in your Cardboard viewer. You can also learn to create your own 360 videos with my directions here. Google Expeditions- Soon to be available for IOS- Google has opened their Expeditions App to all! With over 200 immersive locations, you will be ready to take your class on a virtual field trip almost anywhere in the world. 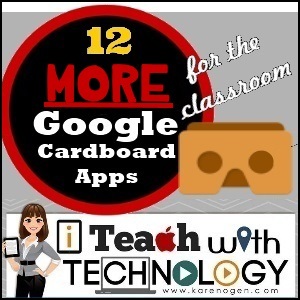 There still are many more cardboard apps available for Android phones, but the availability of IOS apps is growing. Have fun exploring! 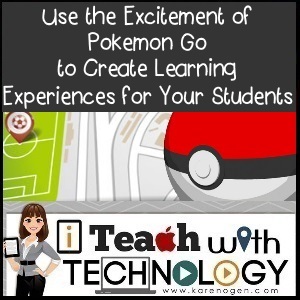 Use the Excitement of Pokemon Go to Create Learning Experiences for Your Students! Have you given in to the Pokemon Go (IOS and Android) hype yet? Apple says that the Pokemon Go app has hit a new record by having the most downloads in the first week ever in Apple Store history. This augmented reality app combines real-world and fantasy to get the user to step outside to catch wild Pokemon. There are hundreds of Pokemon to collect, power-up locations (PokeStops) to visit, and Gyms to test the player's strength and to compete against other community members- and it is VERY likely that your students are already hooked on this game. You may be thinking, "How can I take this enthusiasm for Pokemon Go and use it in my classroom?" It's easy! Use a game-based, scavenger hunt style of learning in your classroom, too. What do users love about Pokemon Go? Yes, the characters definitely have captured the nostalgia of 20-something users and the younger players are discovering the unique characters for the first time. But, beyond the characters, the game is about the hunt for the prizes (capturing all the Pokemon) and leveling up. 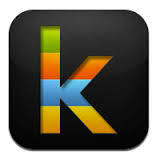 Klikaklu is a photo matching (hunting) game that uses GPS and the camera to create and play treasure hunts. The creator selects and takes pictures of items or locations that the players must find in order to receive clues, information, or rewards. The players must find the items or locations and match the image through the camera on their device to unlock the location. Pros: Easy and fun to create and use. Play as many Klikaklu hunts as you want for FREE. Indoors or out. Cons: A teacher/creator can create for two days before the app will require an upgrade to the paid app ($9.99). However, all students still play for free, so only the teacher/creator needs to pay for the upgraded version. Goosechase is a scavenger hunt in which users complete missions and compete for points to finish the quest. The creator of a Goosechase scavenger hunt can create 3 different types of missions: photo/video based (the user submits a photo/video as evidence), text based (the user answers a question or provides information), and GPS based (the user must be physically located at the correct location). Pros: The 3 types of missions are fun and can be easy to integrate a variety of media, topics, and challenges for education. Indoors or out. Cons: Expensive. A creator under the recreational plan can create a FREE scavenger hunt for up to 5 teams (25 users), but teachers should contact Goosechase for educational pricing. 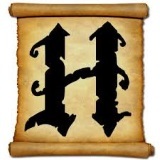 Huntzz is a scavenger hunt in which users will answer questions at each location, collect virtual coins (more coins for answering correctly), and open the treasure chest at the end! 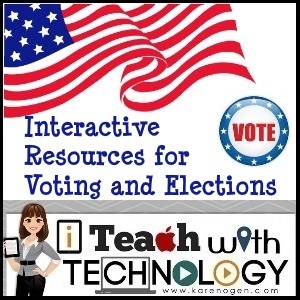 The historical theme is great for your social studies topics. Pros: Free and easy to create and use. Cons: Outdoor use only, location based. Requires specific answers that can by typed or chosen by multiple choice. The Eventzee app allows creators and users to engage in photo or QR code scavenger hunts. Recently Eventzee announced that they will bring their product to the education market with the announcement of Eventzee EDU. Pros: Because Eventzee EDU is created for the classroom, privacy is specifically maintained and teacher tools are embedded. Cons: May be expensive, contact Eventzee for pricing. Just like when using Pokemon Go, scavenger hunts can get your students up and moving, completing challenges, collecting answers, working together, and winning at learning in your classroom! How can you use scavenger hunts with your students? 2. Lead students to various locations and have problems for them to solve at each location that is based on your curriculum. Here they might complete a problem and take a picture of the answer or complete a worksheet. 4. Create a scavenger hunt for a field trip to direct your students to the most important displays or information that connects to their learning. 5. 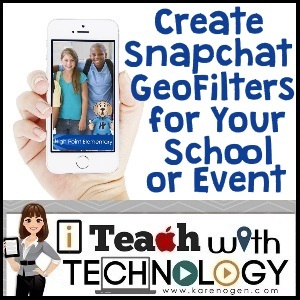 Allow students to create scavenger hunts for each other! How can you use scavenger hunts with your staff? 1. Direct your staff to locating and documenting important information in staff handbooks or websites. 2. Create a scavenger hunt for new staff to introduce them to the resources, locations, and people in your building. 3. 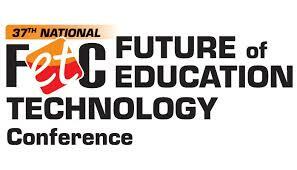 Create a unique professional development experience to teach about new technology tools, sites, resources, or information. Have staff document their learning through taking pictures, creating videos, or uploading information.